We offer deer, bear, hog, and turkey hunting! We also offer trout fishing! We offer deer, bear, hog, and turkey hunts!! We also offer trout fishing trips!! 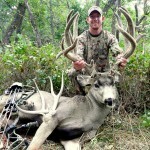 Source for hunting guide and outfitter services. Discover and connect with great local outfitters. If you are a Georgia Hunting Guides and would like your service listed here, use our Submission Form. It's Free!